Employees take their humanity to work everyday... their happiness, excitement, enthusiasm, and laughter—as well as their frustration, disappointment, anger, sadness, and worry. They bring all of themselves to work and this results in emotions at work. Workplace actions lead to many different emotional responses for our employees. Coworkers can ostracize, hurt, and frustrate their colleagues. Leaders and managers can hurt employees' feelings through insensitive attitudes and decision-making, unreasonable expectations, inflexible practices and policies, and poorly managed change. Similarly, when they communicate to employees lower in the ranks, they may use edgy words to create discomfort in order to motivate employees, not realizing the emotional costs of their communication. Inevitably, personal situations also lead to emotional responses in the workplace. Personal lives are messier these days, and home and work/life are bleeding together more than ever before. Employees think about and deal with difficult personal situations at work including divorces, marital problems, family health issues, financial problems, issues with their children, and elder care. Additionally, some employees simply take things very personally. They are emotionally invested in their work, personally connected to it, and extremely sensitive. All of these issues can manifest themselves in negative emotions in the workplace. Instead of trying to eliminate emotions from the workplace, employers need to embrace them and work on better preventing, managing, and handling emotional responses and emotional employees. 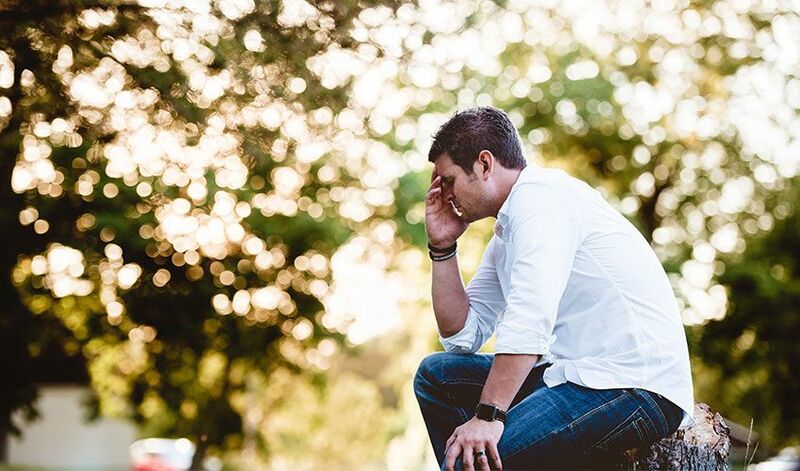 Leaders often think that emotional issues are unworthy of their time and attention, but the costs of not dealing with these problems can be far greater. Employees focus less on their work and more on their problems. You lose precious work time and productivity when you don't help them and nip the issue in the bud. The extra moments you spend paying attention to emotions in the workplace, considering the emotional costs and benefits of the decisions you make, listening to your employees, helping them resolve whatever issue they are dealing with, and dissipating or absorbing the emotions they experience can help reduce the number of emotional issues in the workplace and help get employees back to being happier and productive sooner. Here are some tips. 1. Read emotional cues and signals. 2. Empathize with those who are hurt. It's all too common in the workplace to show indifference and impatience to employees who are in distress. Leaders may belittle or make light of the employee's issue or tell them to "deal with it" on their own. None of these are caring responses to an employee in need and just hurt the employee even more. Instead, view moments of emotion as opportunities to listen, empathize with, and show compassion to a hurting employee. It doesn't have to be a long conversation; sometimes a few minutes is all it takes. Plus, every effort you make to empathize with your employee helps build your relationship with them and develops positive rapport. There's always something underlying the emotional response. Dig into what is triggering an employee's emotional behavior. What issue or situation is causing them to respond in this way? Refrain from pre-judging why the employee is responding in the way that they are. Instead, listen to the employee and their concerns. Allow the employee to feel heard and respected. This will help you help them. Once you understand the problem, transform it into an opportunity for positive change. Emotional situations present opportunities for turning around a problem as employees often become emotional when they don't know how to solve problems on their own. During these moments, managers can counsel employees, assist them in searching for solutions, help resolve conflicts, and refer them to help that they need - like employee assistance programs, coaching, and conflict skills/communication training. Sometimes providing space for employees to deal with what's going on is effective in helping employees move beyond the situation in a constructive way, especially when extreme emotions or distress are in play. Maybe that space is a break in the work day, a day off, or loosening workload for a short period. Time heals most issues. Emotional employees, especially in cases of crying in the workplace, should have their dignity kept intact. Never make an employee feel bad about crying and discipline or punish them for it. Most employees are very embarrassed when they become emotional and managers should allow them to keep their self-respect. It should be noted that there are situations when employees' emotions escalate to unmanageable levels, adversely affect other employees, and need a different approach - sometimes involving formal counseling, conflict resolution or mediation, and disciplinary action (in the case of excessive anger or harmful/abusive behavior). In addition to managing emotional employees, here are some strategies to help prevent negative emotions in the workplace in the first place. Poorly chosen words and tones are often the source of negative emotions in an organization. Think through your message and tone (of emails, in-person communication, and phone conversations) before you communicate it and consider possible emotional responses that may emerge from it. Reframe messages in a positive way. 8. Anticipate and handle responses to change. Organizational change causes emotional responses. Build in ways to prevent negative emotional effects, and determine ways to address and minimize emotional issues when they occur. Also, the best way to manage change is to talk about it with the affected employees. Communicate honestly and directly about the change, and give employees the opportunity to vent and discuss their concerns with the transition. 9. Stay connected and be caring. Keep emotionally connected to your employees...ask questions to gauge how they are feeling in meetings and become attuned and sensitive to what makes them frustrated, sad, or angry. Encourage employees to act compassionately and in a caring way with one another throughout the workplace. 10. Train your supervisors and managers. Finally, training your supervisors and managers in positive management behavior, communication skills, conflict management, and other leadership topics gives them the tools to help them better manage emotional issues in the workplace - and helps them lead others more effectively to reduce the probability that negative emotions will emerge in the workplace. Employees' emotions and pain challenge us to behave more compassionately when they are frustrated, sad, upset, or angry; become more caring leaders; help those in need at our own organizations; and be more mindful of how our day-to-day words and actions in the workplace affect others. In this way, emotional employees aren't problems...they are opportunities. This training increases a leader's capacity for effectively recognizing and managing emotions.